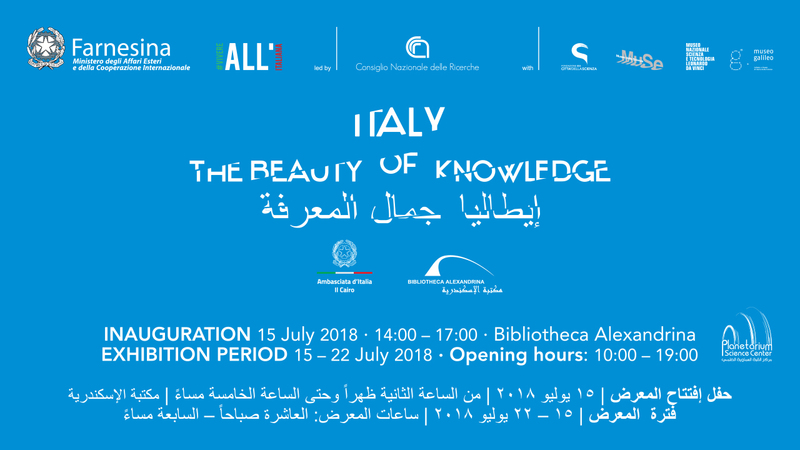 Sunday, July 15th, the exhibition Italy: the Beauty of Knowledge will display at the Alexandrina Library in Alexandria, Egypt. 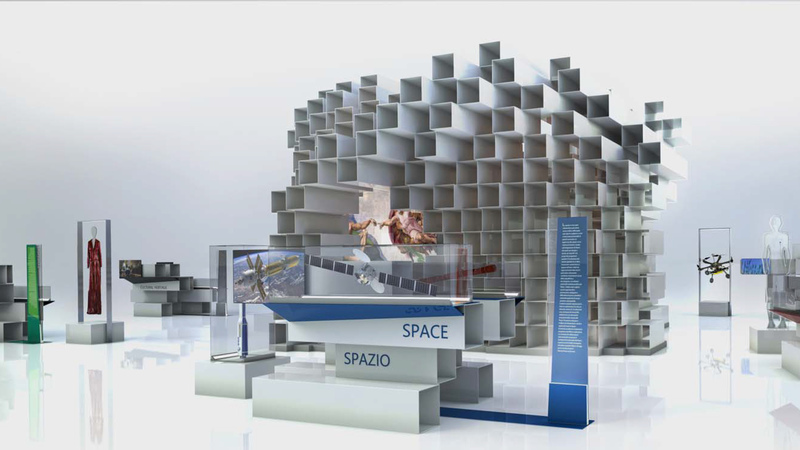 The traveling exhibition was born to tell the Italian excellence in science and technology. After Alexandria, Egypt it will travel to India and Indonesia and then continue with the new stages in 2019 and 2020. The exhibition tells about the emotion of living in Italian through scientific research and its protagonists, who explain the contribution given by our country to the great adventure of knowledge and technological development: from the Renaissance to the conquest of space, a long road of research and beauty, discoveries and innovations starts from one of the most fascinating countries in the world and leads to the future. The project is promoted and financed by the Italian Ministry of Foreign Affairs and International Cooperation and made with the direct contribution of the National Research Council and the three main Italian scientific museums of , coordinated by Città della Scienza of Naples: Galileo Museum of Florence, Muse di Trento, National Museum of Science and Technology of Milan. 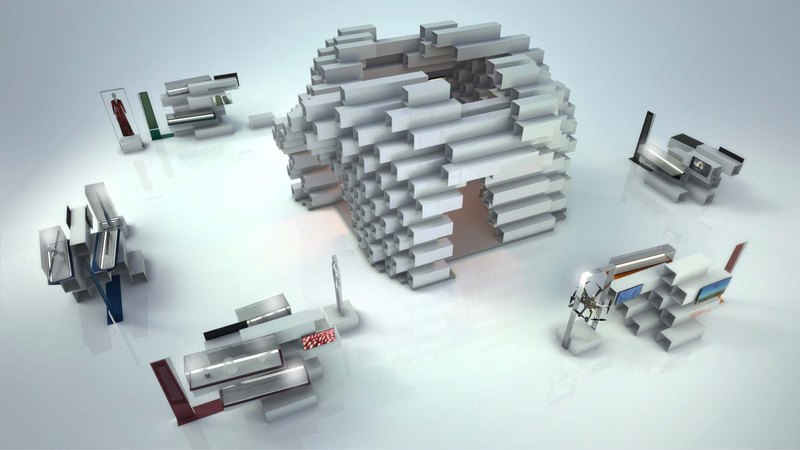 The exhibition Italy: the beauty of knowledge is articulated in a parametric structure of about 400 square meters that allows an engaging use capable of communicating dynamism and lightness. An exhibition space that, through a narration based on emblematic examples of the close relationship between Italian research and the quality of life in Italy, proposes a composition of thematic modules on the most current trends that combine research and culture and narrate a dynamic Italy that look at tomorrow. Both from an expository and conceptual point of view, this is an ‘open’ structure based on generative modules, configuring an ‘organism’ that, born of an elementary form, is able to evolve dynamically.